Perfect for entertaining. Bringing fun to your family and friends. Create your own flavors, personalized for each individual. 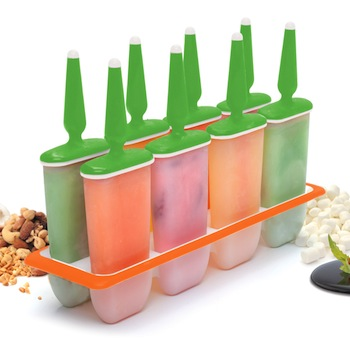 Use fresh fruit juice, fresh fruit, or make gourmet flavors with yogurt, ice cream or pudding. Soft grip, reusable handle with a drip tray. Slim elegant design uses less freezer space. Recipes included. Perfect for kids and adults (and the kid in all of us)!